Sabre® AirCommerce™ delivers the most powerful and efficient distribution and merchandising services for airlines of all sizes. Increase your reach to markets worldwide through our distribution channel that provides access to more than 350,000 agents worldwide. Our customers include travel management companies and global travel retailers that serve corporations, leisure travelers and govenment entities. Sabre AirCommerce offers a myriad of products that assist you in expanding your global reach, driving toward revenue goals and using insight to make more strategic decisions. We can help you access travel agents who are there to close the deal. Sabre® provides a targeted, global channel with an attentive audience. Seamlessly connect to more of these travel buyers to support your multi-channel distribution strategy. Use our tools to highlight attributes that make you different and reach your loyal customers. Promote your strongest asset globally, your brand, to buyers beyond your home market. Target high-yield travel buyers with advertising during the decision-making process by prominently displaying and differentiating your brand. Distribute and manage private fare content to a global network of buyers. Enables premium screen display to agents with a reduced number of entries to obtain specific carrier flights. We know that your airline is unique. Sabre AirCommerce offers tools to highlight attributes that make you different and reach your loyal customers. Market and sell your product based on a bundle of services, articulating your value and enabling up-sell. Generate brand awareness for your airline alliance while travel buyers are making purchasing decisions. Let us help you reach your financial objectives. Drive incremental revenue to your bottom line by using optimal sales processes to sell every seat with maximum yield. Improve load factor across the network and sell as many seats as possible to power growth and expansion. Improve availability by replicating your inventory system, allowing for optimal results to be returned during the shopping and booking process. Keep agents up to date about your inventory by pushing availability messages to Sabre. Enable instantaneous request and receipt of flight information through interactive EDIFACT messages between you and the Sabre system. This will lay the foundation for availability and last-seat sales opportunities. Control confirmation or denial of inventoryat the time of the sell request. Display the actual number of seats remaining in each class of service helping you sell more inventory. Generate untapped revenue streams and maximize yield per seat even after the seat has been sold. Unbundle your fares to sell ancillary services through Sabre. Experience efficient, streamlined fulfillment of Air Extras through this industry-standard solution. Automate the complex process of selling group/large party block space allowing for more inventory control and reduced manual processes. Ensure your sales processes are streamlined and effective, allowing your operations to flow efficiently. Enable the convenience of electronic document storage for seamless changes, reduced airport wait times and cutting edge airport check-in capabilities. 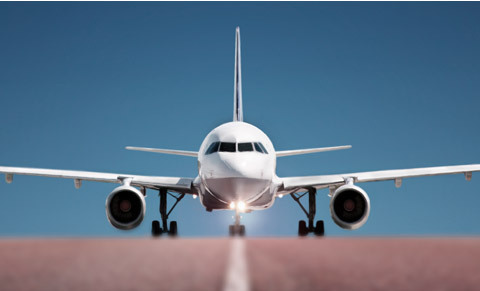 Transfer the management of PNRs created by your airline to a Sabre travel agent eliminating the need for passive segments or duplicate reservations. Join segments and treat them as one single unit through the booking, pricing and ticketing proces to protect market-specific inventory from unauthorized, partial cancellations. Allow carriers and travel agencies to have a "direct" relationship for settlement in a specific location that has no BSP enabling distribution of your product in that specific market. Facilitate the payment of products and services through Sabre with an XML direct payment solution. Relevant, accurate data is the cornerstone to solid, strategic decision making. Utilize meaningful data to bring new efficiencies to your operational and strategic decision-making processes. Using advanced analytic visualisation technology you can identify hotspots of advance Sabre marketplace demand in easy to read displays. Through real-time heatmaps, you can quickly pinpoint where targeted efforts could further enhance conversion. Receive critical data to help you understand channel performance and develop marketing strategies. Evaluate the importance of a particular market or flight segments relative to a passenger’s entire journey, ensuring you are pricing your product according to the true value. Enable additional revenue management when used in connection with Married Segments. Receive data at the time of shopping, booking, and ticketing to ensure the right inventory is being displayed and sold to the right booking client to maximize opportunity. Secure your revenue streams and prevent inventory spoilage. Be alerted when there is a duplication of a booking, preventing spoilage and allowing you to convert the seat to a revenue-producing sale. Prevent changes from being made to the name field in the PNR once it has been ended, preserving inventory from spoilage or unproductive booking practices. Utilize a live feed of ticketing data for revenue accounting, analytical purposes and marketing strategies. Submit and update schedules directly to Sabre, providing you with an additional level of control and speed to market. Contact us today to discuss participation options or for additional information on a specific product. Please visit the Sabre® Community Portal or contact the support help desk.